So for starters, I got a text yesterday from my buddy asking me what I thought about the trade. I feel like no one, myself included, initially thought Danny Green was going to be part of a trade package that moved Kawhi Leonard out of San Antonio. What hit me was not so much that we lost Danny, but that the Spurs traded away their two best defensive players (from the last season when both played a majority of the season) for yet another guard (albeit a very talented guard) and a relatively unknown 2nd string center. Personally, I think Danny Green being involved in the trade speaks more to Kawhi Leonard’s current value. Alone, Leonard was not going to bring a profitable trade, if tradable at all. Spurs fans may never know other offers that were made, if any. So what does the trade mean to the Toronto Raptors? Well, considering that they just fired their head coach Dwayne Casey, the reigning NBA Coach of the Year, the Raptors are in a bit of a rebuild. 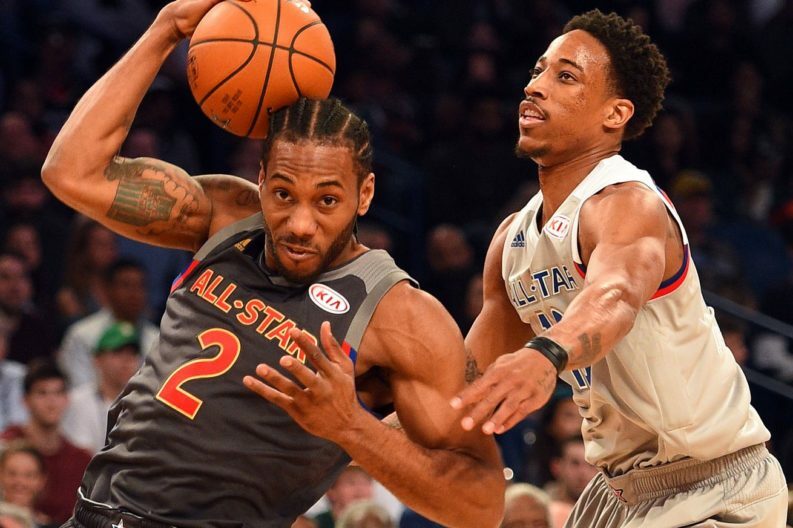 What does bringing on a Kawhi Leonard who has clearly stated he will not re-sign with Toronto do? Well, it opens up a $21M hole in your cap space for pursuing free agents in 2019. With the addition of Danny Green’s final year/$10M contract, that gap just increased to $31M. At the same time, the Raptors dumped the remaining $83M contract in DeMar DeRozan. Not bad for a Wednesday. The Raptors should be concerned though. They are bringing in a new head coach to lead one of the least communicative top 5 players of all time. The relationship will have to be established immediately if there is any chance of earning productivity from Leonard. Considering who Kawhi was before the Spurs traded for him and what he was able to become under their tutelage, a new coach and new system may stymie the former Spur after essentially sitting out a full season. What does the trade mean for the Spurs? In a Spanish-speaking market, this might be funnier now than when Kevin Hart dropped it at the All-Star Weekend. There is also the addition of Jakob Poeltl, a much needed jolt of youth, height, and athleticism at the five. Beef up his 4.8 rebounds in 18.6 minutes this season and add a improved 3-point stroke to his game and the Spurs are right back in the mix in the Western Conference. Once again, Gregg Popovich and the front office have managed to keep the Spurs relevant in an increasingly challenging conference and while facing greater odds than ever. Is there nothing PATFO can’t do?